It cited a law that allows it to block access to individual web pages or entire websites for the protection of public order, national security or the well-being of the public. Turkey's communications ministry said Wikipedia was attempting to run a "smear campaign" against Turkey, saying some articles purported that Ankara was coordinating with militant groups, state-run Anadolu news agency reported. "Instead of coordinating against terrorism, it has become part of an information source which is running a smear campaign against Turkey in the international arena," Anadolu quoted the ministry as saying in a statement. 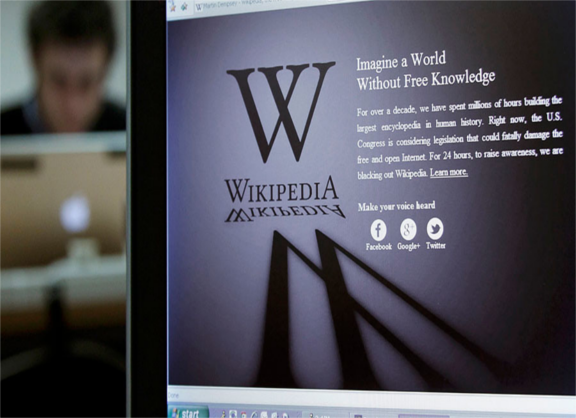 The ban would be lifted if Wikipedia met the government's demands, Anadolu said. Under the law, the watchdog is required to submit its ban to a court within 24 hours. The court then has two days to decide whether the ban should be upheld.